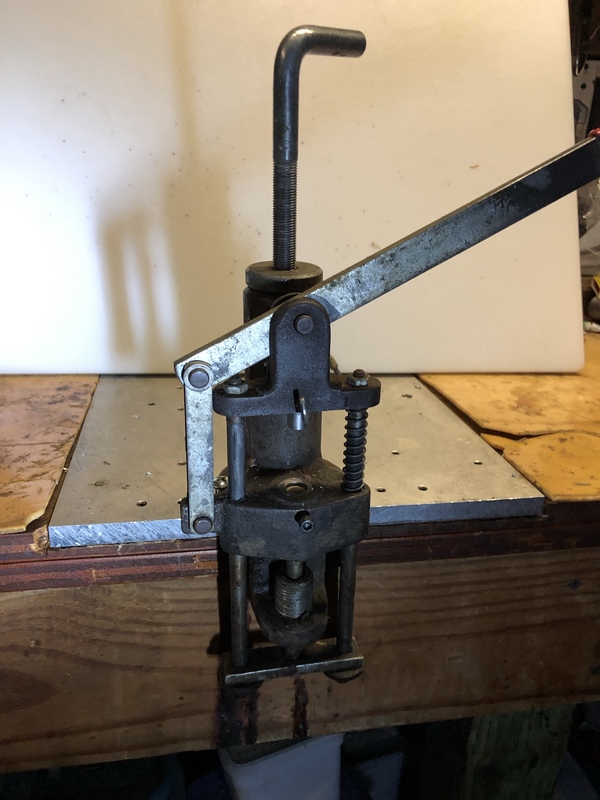 Thread: Sizer dies for Herters/ Weseca lube sizer? Herter's offered different lubesizers at different times, I had one that used Lyman dies. I know they also offered one that used dies that were similar to Saeco, but I recall they were different enough to not be interchangeable. Mine uses the lyman dies. Has a small thumb screw in the front to lock the die in the casting. Can you post a picture of the sizer? The original thumb screw to hold the die in has been replaced with a socket head screw, but the one for the nose punch is stil original. I have a herters M 49 which uses dies similar to saeco -- saeco dies will fit but the lock nut on herters dies are smaller dia. I have the same sizer as the above picture and both Lyman & RCBS dies work in it.